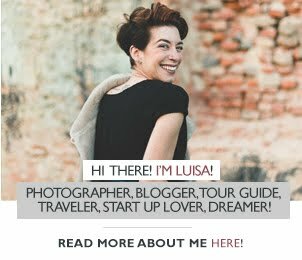 Today is dedicated to the 2nd part of Lidia's guest post from last week that you can find here. We had such good feedback on it that I was absolutely excited to bring live the rest of her tricks and tips for a smoother move in a hectic city like London! I totally have to say that if I had had all this info last October, everything would have been so much easier! Hoping it continues to help you, here it goes! Hopefully you had the opportunity to digest the boundless amount of info I gave you last time. If everything went well, now you'll have a set date to vacate your old crib and start packing to go for good. Before starting to pack, I always make sure I call all the relevant services in order to change my address and remove my name from joint bills, specially if someone else is going to stay behind. Trust me, you don’t want to discover in 5 years time that you still owe bills in a house that you no longer live in. You can also ask Royal Mail to redirect your post for weeks/months until you are officially out of the old place. Before touching anything, I would invite you to do a tour of your room/flat/house and take a close look at all your possessions. Make notes of things you might want to sell, give away to family, donate to charity or simply throw away. Pick your planner and define the packing process over the days. I suggest dedicating 1-2 hours a day. This way you'll get things going without overwhelming yourself. You are all set to start packing. Every time a box is full, seal it and glue the colour-coded sticker on. NOTE: You can write 'fragile' on the boxes for breakable items and add instructions such as 'this side up/down'. Hopefully the moving team will be more caring than the guys who handle your luggage at the airport. Repeat this step every day until you finish packing everything. At this point you might be amazed at the quantity of stuff you accumulated over the years. It’s ok, just put what you don’t want/need into the giveaway pile. All of us have been there and realised how easy and crippling facing our own crap is! You've worked really well! Well done. Now pack a bag with clothes for 3 days and toiletries, shoes and your techs as if you were going for a week away. This way, you don’t need to unpack everything just to find your pyjama on your first days at the new place. Do the same with small kitchen appliances and any other applicable everyday items. As you got everything packed, hire a cleaning team that specialises in 'end of tenancy cleaning'. They are professionals and used to get rid of marks and stains that could otherwise make you lose your deposit. Go around the house, say 'Thank you'. Come on, no matter what you went through, this place provided you a shelter and probably some good memories. I always say 'Thank you' to my old houses and people I lived with, no matter how good or bad the experience was. I believe whatever I learned while there will be useful some day. Give back the key, say goodbye and shut the door. A new beginning awaits you. When you arrive at your new house, brief the moving team on where each colour-coded box shall be unloaded. Once everything is in the house, leave everything as it is. Make your bed, order take away and relax/celebrate. It was a hard day and it’s your first in your new crib. So let's say you are worth this break and it's a way of showing kindness to yourself (Ana Luisa said). Start unboxing room by room. Start with the most needed items. In London, you won't be needing your bikini soon. Repeat this step every day until you finish to unpack. You will be amazed at how the place starts looking like you, and like a home. After the moving time is completed. It’s about time to venture out. Introduce yourself to your flatmates (if it's the case) and neighbours. Last, but not the least: have fun and enjoy the experience. I always think that moving to a new home is a good practise on how to live life with some detachment, because life is made of stages and once a stage is over, we've got to move and let go. Moving house is one of the steps necessary to change as life changes and moves forward. I am where I am today, but I know that the time will come when I will want/need to move again. Instead of freaking out about it, I always enjoy my new house and neighbourhood, and make sure that I don’t have too many possessions. It’s the price to pay for wanting to be a modern nomad ☺. Find me and follow me on my Personal Blog, Facebook, Instagram or Twitter.